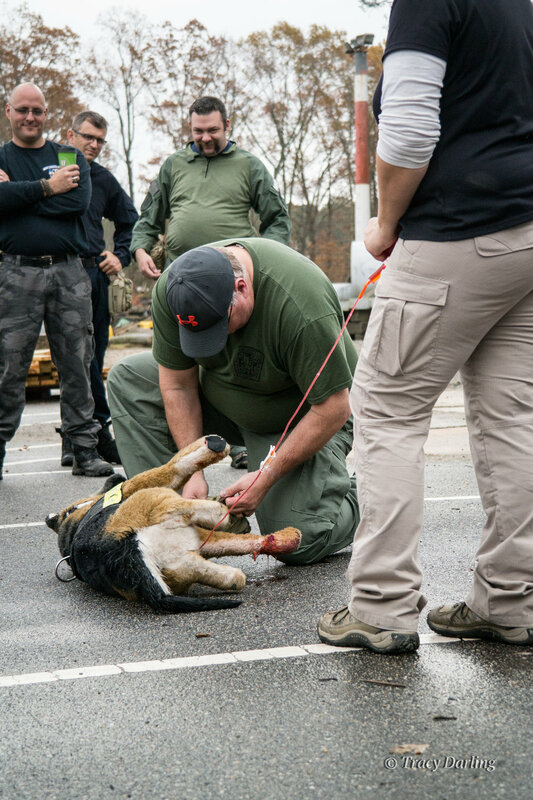 K9 search teams and support personnel from 18 states came together to challenge their skills and share training concepts at our combined Disaster K9 Workshop/K9 Tactical Emergency Casualty Care Course at Virginia Beach Fire and EMS Training Center November 28th - December 1st, 2016. 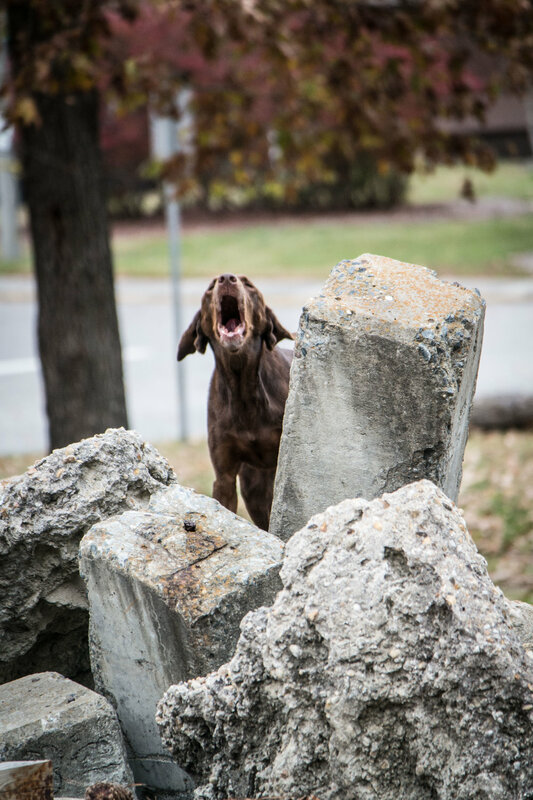 Superfit Canine returned to VA Beach this fall after a very successful event in July this year. 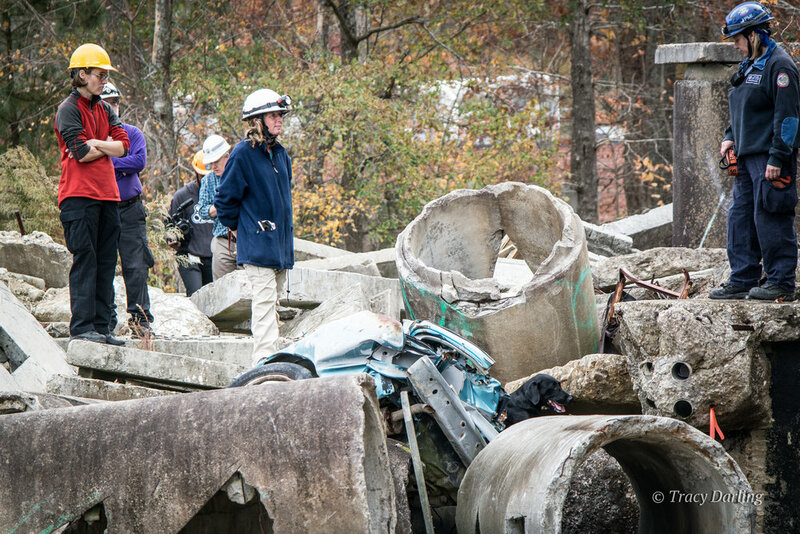 The event started with our 2-day Disaster K9 Workshop. 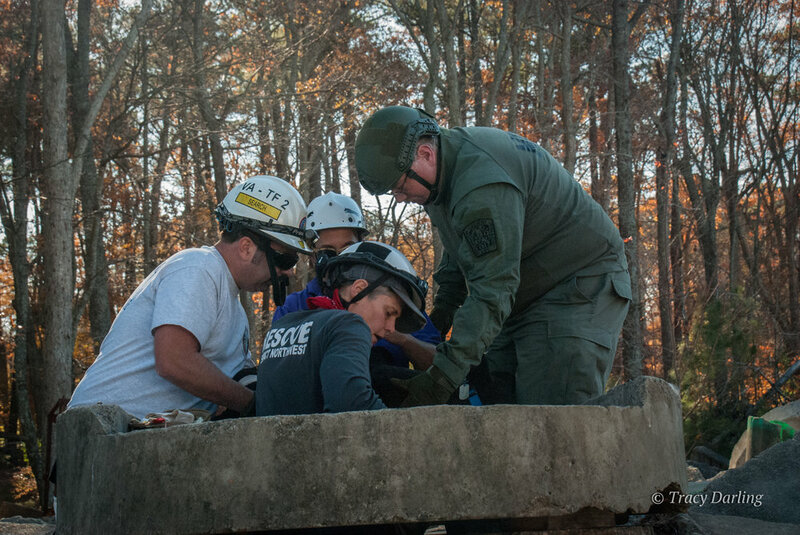 Attendees were teamed up with one of our experienced group leads as they worked through search problems in a variety of scenarios. 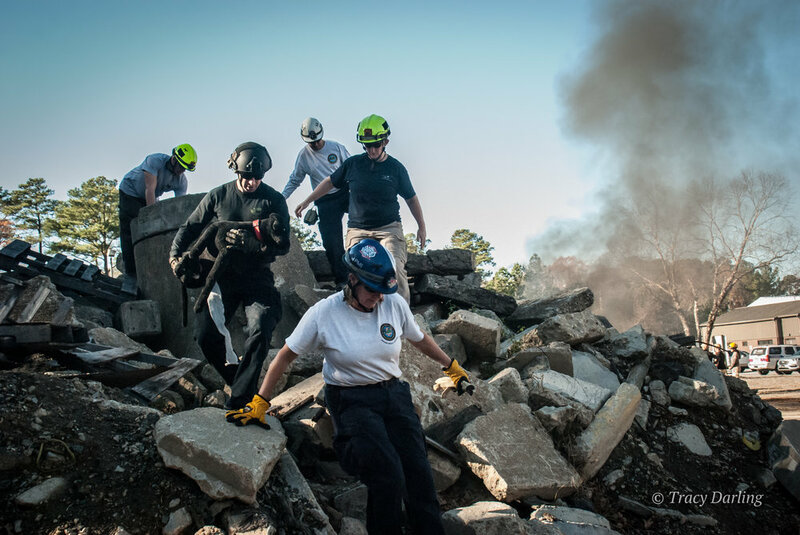 The VA Beach Fire and EMS Training Center offers several FEMA Type I rubble piles, an agility yard, wide areas, and a 4-story burn tower. 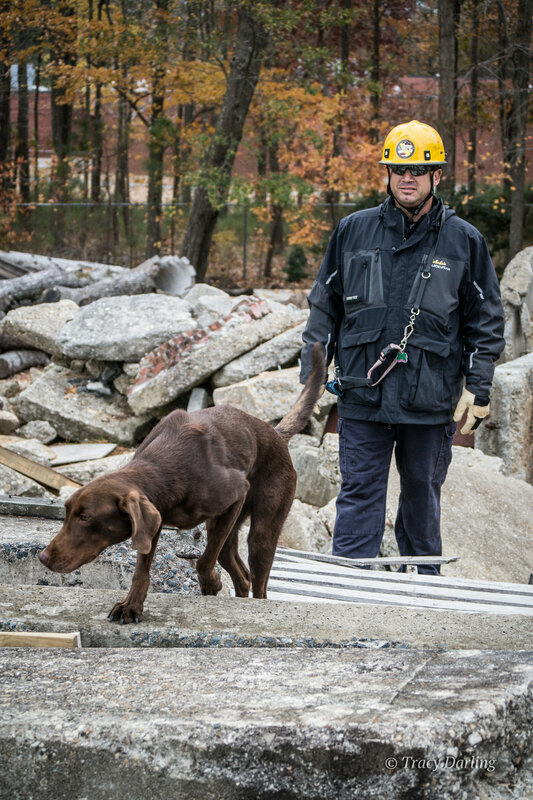 As a new addition, we were fortunate to offer an 18 hole golf course to provide very wide areas and an abandoned building for search operations. 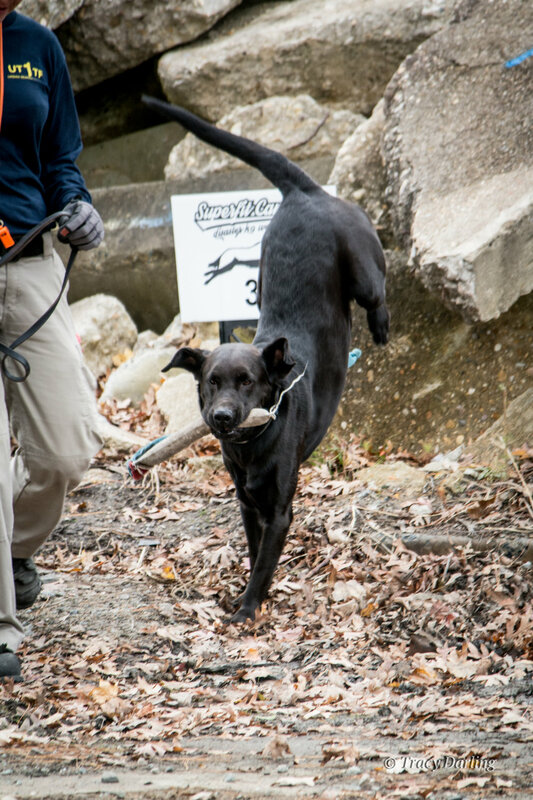 Live Find and HRD K9 teams rotated through stations where they were able to work through rough terrain, and scent/sound distractions. 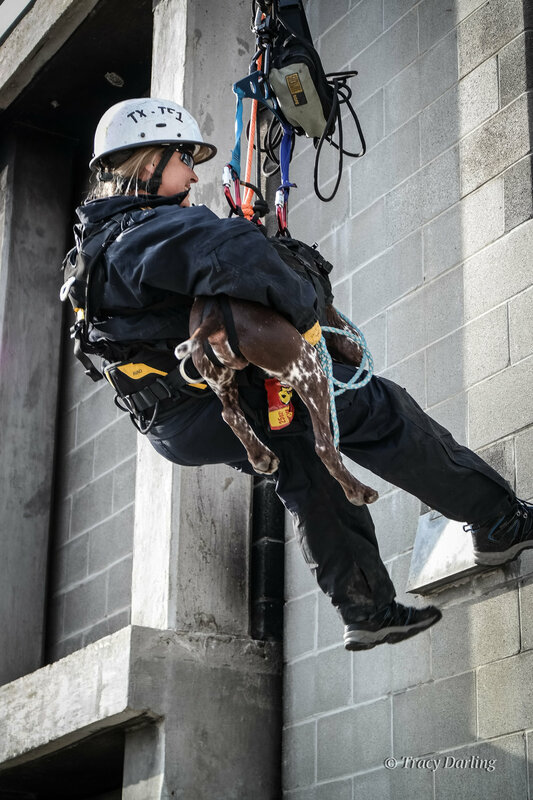 Thanks to the incredible rigging support from VA Beach Fire and EMS training center, attendees were able to be lowered with their K9 from the 4th floor of the burn tower to the ground where they were able to immediately send their dog into a search problem. 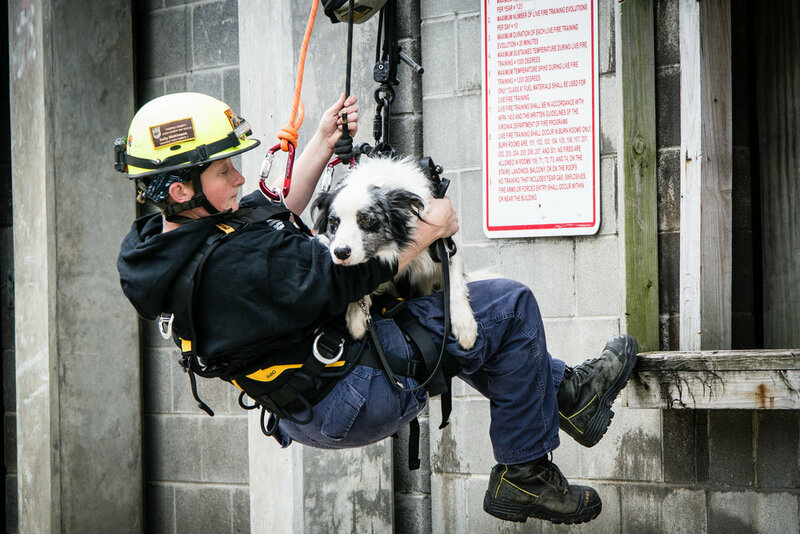 Following our 2-day Disaster K9 Workshop was our 2-day USAR K9 Tactical Emergency Casualty Care Course. 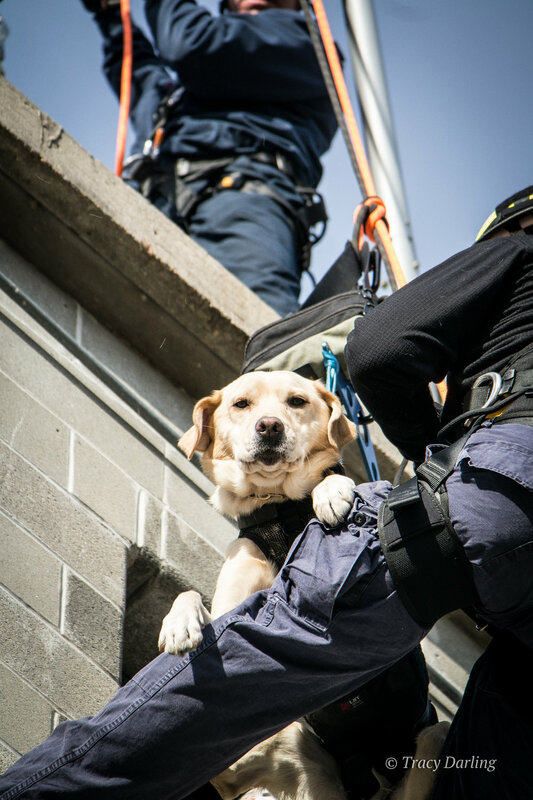 This valuable course was provided by our friends from Veterinary Tactical Group, a company that offers veterinary emergency training for dog handlers, tactical medics and veterinary personnel. 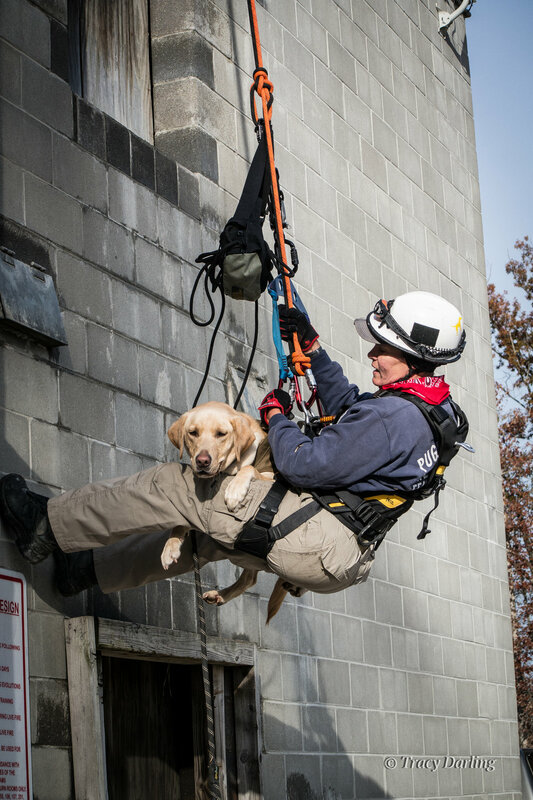 Attendees were presented with the latest evidence-based knowledge of the most common life-threatening injuries in working canines. 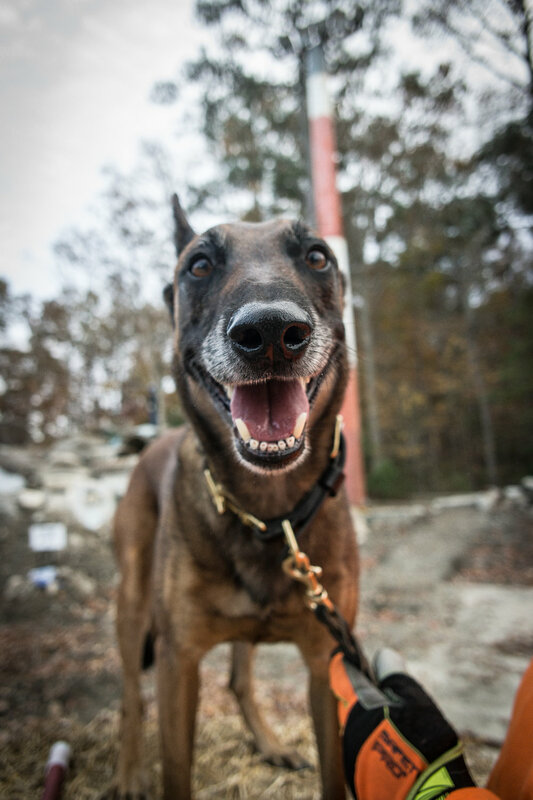 Not only did students learn what can be done to mitigate the risk of injury, they also learned what steps can be taken in the field to improve survival using TCCC/TECC guidelines adapted specifically for the unique anatomy and physiology of the K9. 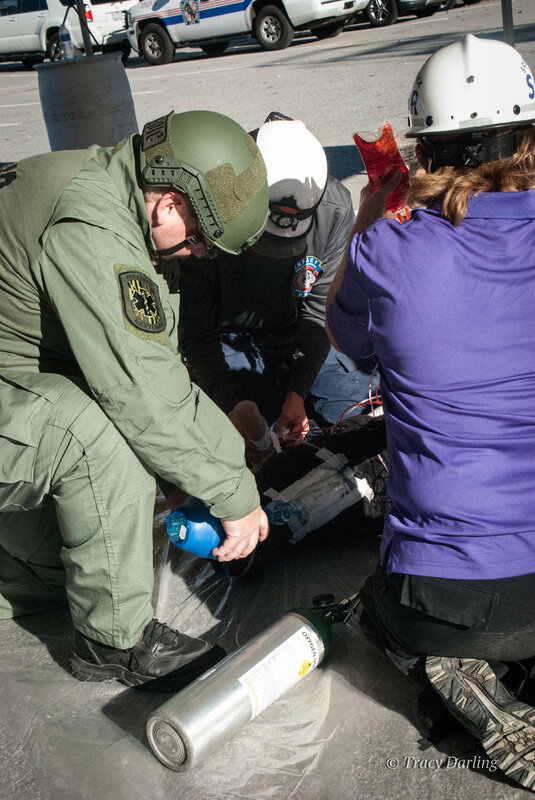 In addition to case presentations and lecture based learning, students had an opportunity to practice their skills hands-on throughout the course in field scenarios. 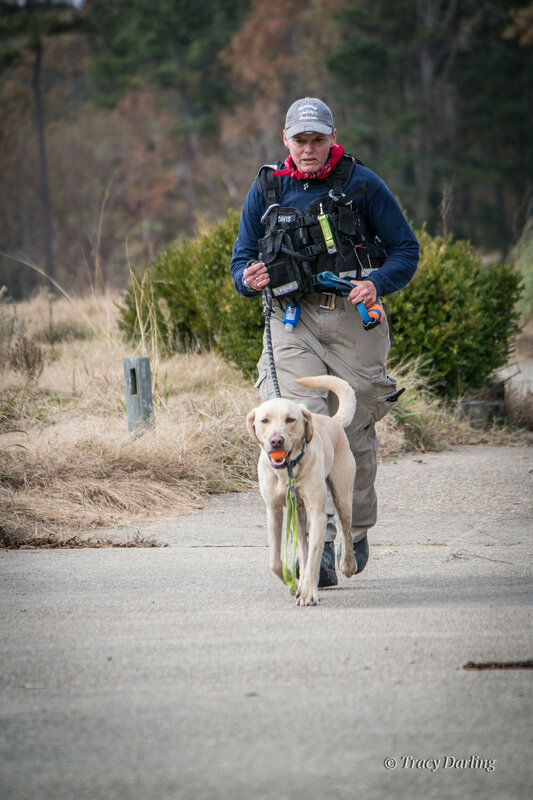 Several media agencies attended the event, and were very excited to share the incredible service that search dogs and their handlers provide across the country. 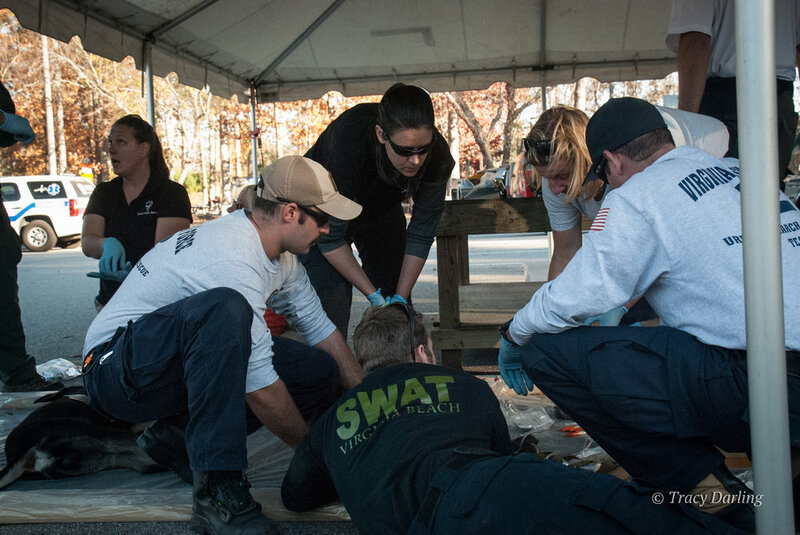 The entire event could not have been successful without the incredible support from the folks at VA Beach Fire and EMS Training Center and VA-TF2. 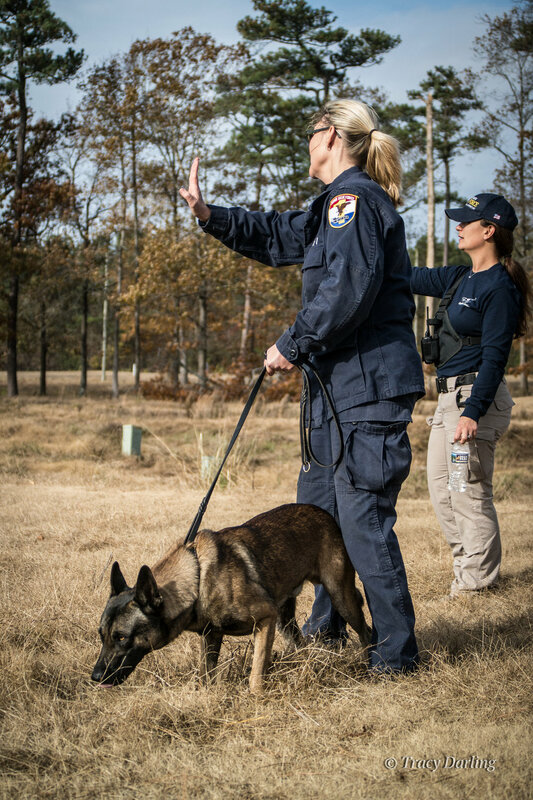 Their dedication to supporting the mission of improving the deployment readiness of K9 teams across the country is greatly appreciated by all of us. 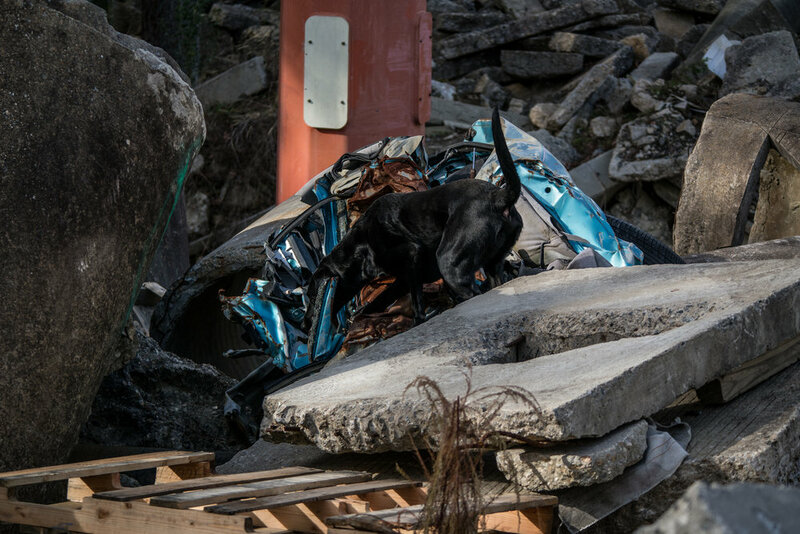 If you are interested in attending one of our future workshops, please check out our Disaster K9 Workshop page. We're adding new events all the time! Do not prepare the PATH for the dog. Prepare the DOG for the path.